Just imagine a Malaysian dairy company decided they wanted to come create a dairy farm in Fiordland National Park. The stock effluent would be spread on the land, and the antibiotics that were fed to the cows polluted the waterways, running into Milford Sound. There would be outrage. There would be uproar. There would be protests in the street. However, when it is a salmon farm in the Marlborough sounds, this proposal slips in well under the radar. 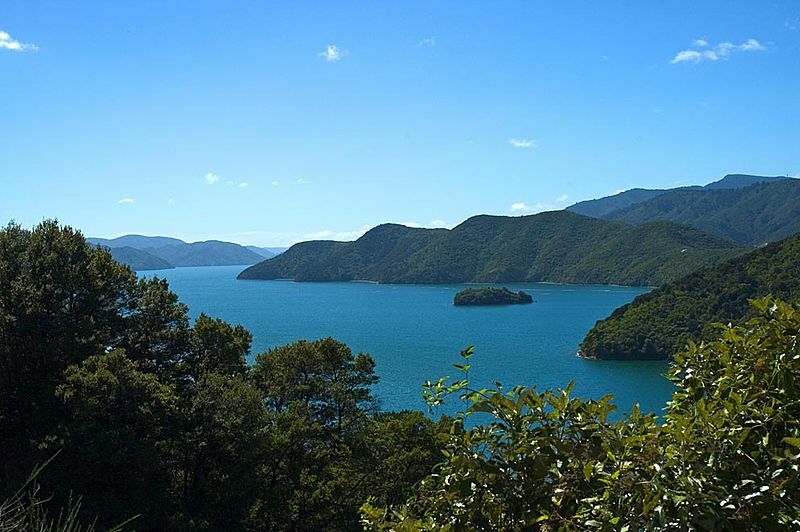 New Zealand King Salmon, a company majority owned by Evergreen Holding (a 100% Malaysian owned company) has applied to expand their farming in the Marlborough Sounds. 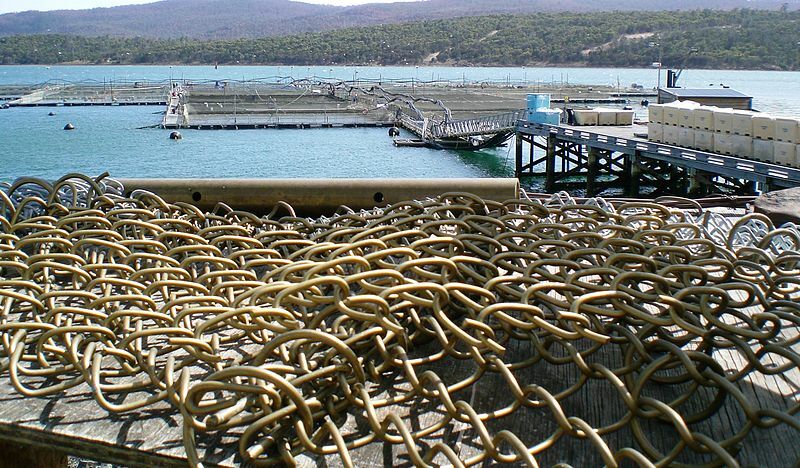 They hope to create farms in eight locations where aquiculture is prohibited by the Marlborough District Council due to the sites scenic beauty, and use by boaties and recreational fishermen. Unfortunately it is these places that have the conditions that King Salmon feel best suit their fish. The expansion is to best keep up with international salmon demand. Amongst other countries, King Salmon exports to Australia (18%), Japan (14%) and the U.S (12%). And you know what? Leasing water, unlike land, is free. There is no requirement to pay rates to New Zealand or any other occupancy charge. Fish farms are not clean concerns. Three million fish in a small space make a lot of waste. And no, they don’t clean the tanks. Fish faeces, high in nitrogen and phosphorus sink to the bottom, with potential for eutrophication and long term ecological damage. This issue is hugely political, with support from the current New Zealand Government, who’s current policy driver is getting the books back into surplus by 2014, at any cost. Already, they have passed the Aquaculture Amendment Bill, allowing ‘aquacultures potential to be fulfilled’ and removing restrictions on where marine farms could go. While there are many advantages of the fast tracked system, which avoids long hearings, delays and appeals, criticisms include shorter times for opposing submitters to prepare, and no allowance to appeal an outcome. Furthermore, the board which decides the outcome is selected by the Minister for the Environment. There are clearly both pros and cons for the New Zealand King Salmon case in the Marlborough Sounds. The board must balance positive aspects, such as job creations in the area, and of course, the economic growth that the government so desires, with the negatives: nitrogen pollution from three million fish, antibiotics and pesticides being released into the water, and visual pollution in the spectacular area. For more on the particular case see the May 5th New Zealand Listener. …to this? Photo source: Wikimedia Commons. The thing that makes me uneasy about this case is how overlooked the fate of our nations waterways has become by our society. While we rage about the idea of selling our land to Chinese investors, about asset sale, about mining in national parks, it seems odd to me that we don’t care about giving our water away, especially in such a tourist hotspot, to the detriment of keen kiwi boaties and fishermen (not to mention the potential for pollution and algal blooms). A rather informal stuff poll shows that two thirds of people were against the idea of selling the Crafar farms to the Chinese owned Milk New Zealand Holdings. So why don’t people care about fish farms in the Marlborough Sounds? Where is the outrage, the uproar, the headlines? Clearly the Marlborough District Council care, opposing the expansion, which it claims goes against the integrity of its district plan, allowing an area of recreation, navigation, and preservation of the environment. Sustain our Sounds (SOS) a community group set up to oppose the expansion obviously care, with a beautiful, well reasoned webpage. But what about everyday Joe Bloggs? There are only 169 ‘likes’ on the SOS webpage, and only 155 ’likes’ on facebook. There is little to none public comment or concern over farming our waters, as there is over farming our lands. So my question to you all is why? Do you believe that the expansion is a good thing? Are you unaware of what is going on? Do waterways not mean as much to you? Do you not care? I would love your comments and feedback on this issue. Doole B. (2012) What’s the Catch? New Zealand Listener, May 5-11.